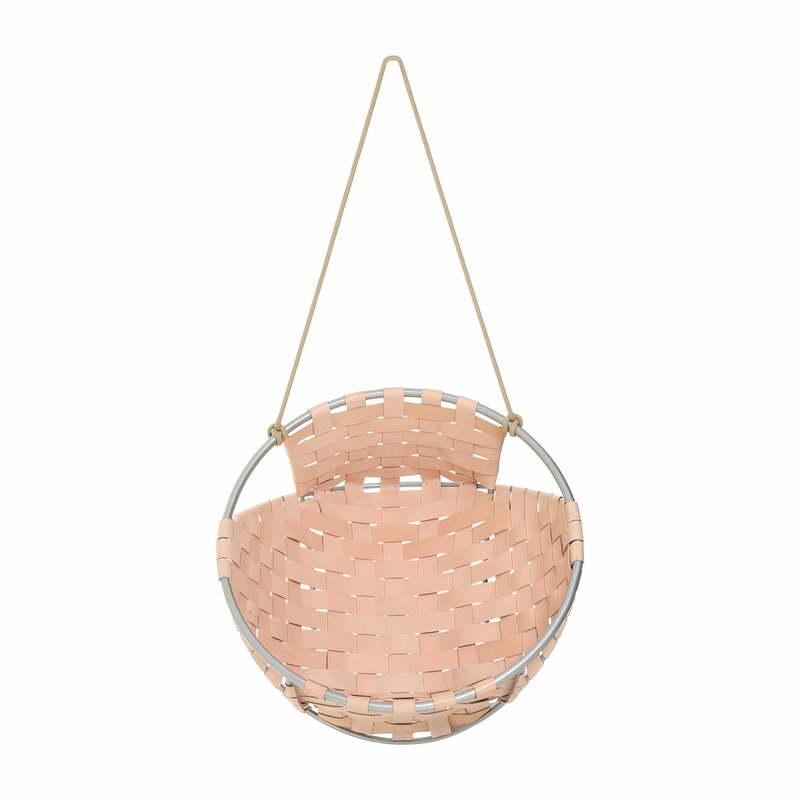 The Cocoon hang chair is a design by Rikke Gjørlund for the Danish label Trimm Copenhagen. The airy, light design lets your soul float with a beautiful view to the sky. The base of the suspended armchair is an aluminium frame that consists of only a few struts and provides a harmonious appearance with its round shapes. The leather straps are made by hand, acting as a seat and backrest and giving the Cocoon hang chair its distinctive look. They are attached to the frame with metal rivets and have robust and aesthetic properties. 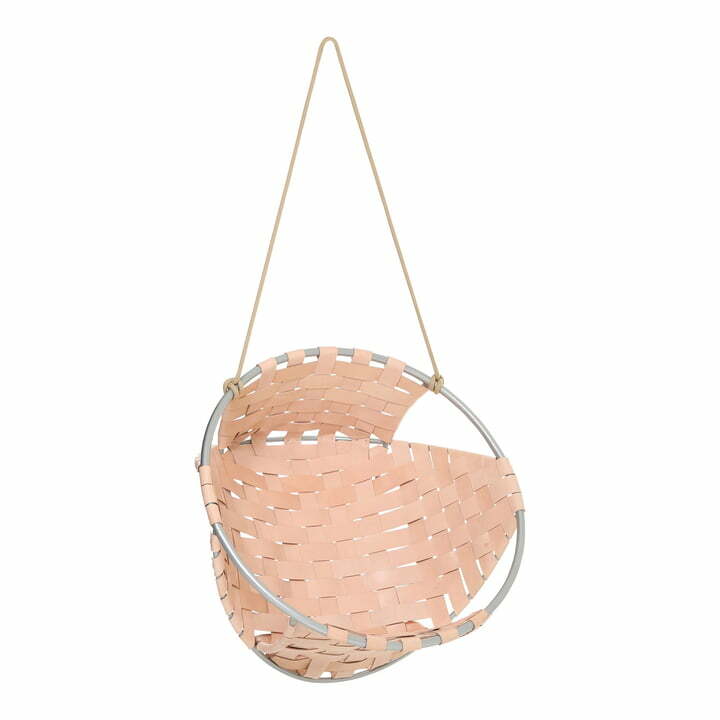 The woven structure is reminiscent of beach tents, holidays and summer, so that the Cocoon chair provides a relaxed atmosphere in any setting. As an alternative chair in the living room or a small feel-good oasis in the winter garden - you can easily spend hours relaxing in the Hang Chair. The Chair is fixed to the ceiling with a sturdy rope, which is included in the delivery. When mounting, please ensure that the ceiling is adequately supported and, in case of doubt, be checked by a professional. Isolated product image of the Trimm Copenhagen - Cocoon Hang Chair in natural leather. The airy structure out of aluminium combined with bright leather makes the floating chair suitable for any furnishing style. Isolated product image of the Trimm Copenhagen - Cocoon Hang Chair in natural leather. Just seeing the floating Chair makes you thing of the sun, holidays and relaxing. 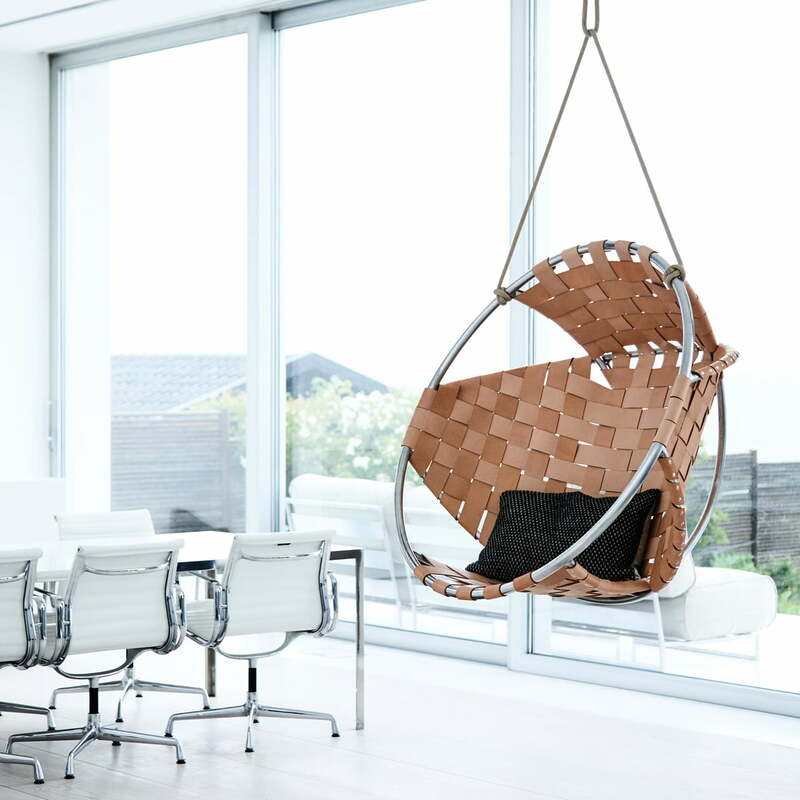 Lifestyle product image of the Trimm Copenhagen - Cocoon Hang Chair. Free floating in the living room, the cosy hang chair is a guaranteed eye-catcher.